We worked with interio Switzerland on the creative music direction for their autumn campaign. Our music choices helped the client communicate the idea of “mid century modern” through music. 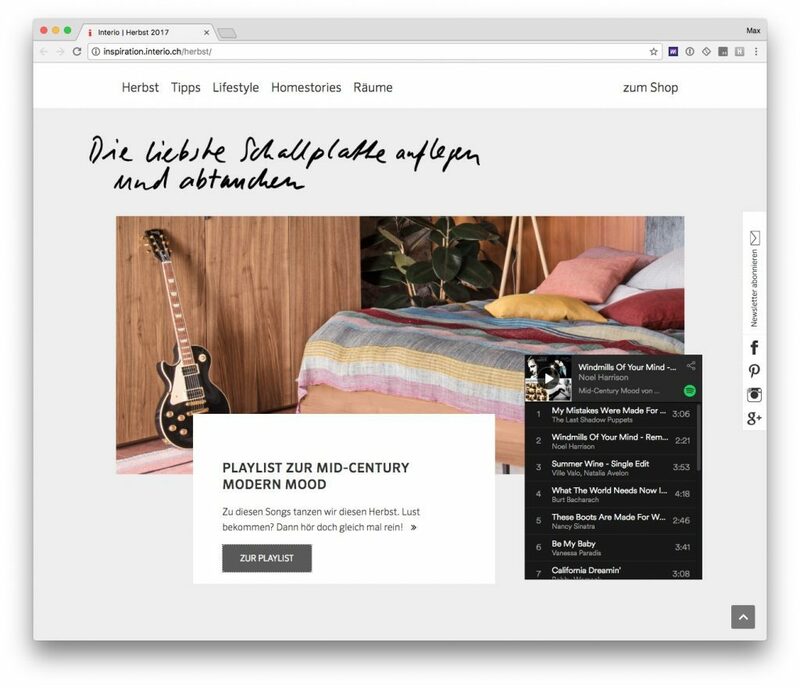 We were responsible for the music choices for the client’s video content as well as consulting on their music playlists on Spotify.